New Directions Publishing Corporation, 9780811226608, 224pp. 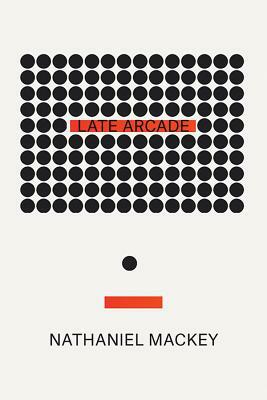 Nathaniel Mackey's Late Arcade opens in Los Angeles. A musician known only as N. writes the first of a series of letters to the enigmatic Angel of Dust. N.'s jazz sextet, Molimo m'Atet, has just rehearsed a new tune: the horn players read from The Egyptian Book of the Dead with lips clothespinned shut, while the rest of the band struts and saunters in a cosmic hymn to the sun god Ra. N. ends this breathless session by sending the Angel of Dust a cassette tape of their rehearsal. Over the next nine months, N.'s epistolary narration follows the musical goings-on of the ensemble. N. suffers from what he calls "cowrie shell at- tacks"--oil spills, N.'s memory of his mother's melancholy musical Sundays-- which all becomes the source of fresh artistic invention. Here is the newest installment of the National Book Award-winner Nathaniel Mackey's From a Broken Bottle Traces of Perfume Still Emanate, the great American jazz novel of "exquisite rhythmic lyricism" (Bookforum).